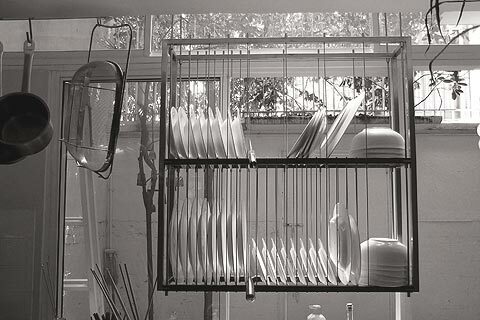 Collection of 'Modern Dish Drainers and Cool Dish Racks' from all over the world for the kitchen. 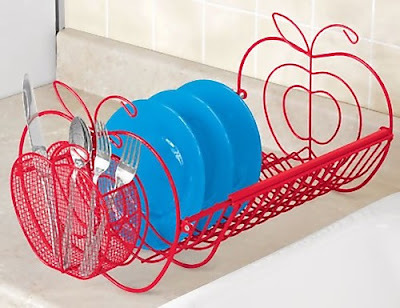 Apple Dish Drainers: Apple dish drainers are sure to brighten up your kitchen! Expandable dishrack can hold up to 23 plates when fully extended. 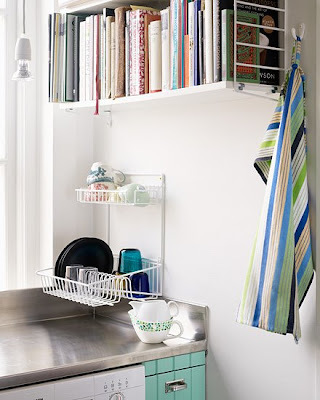 Geo: Its ideal when small amount of washing is to be done. 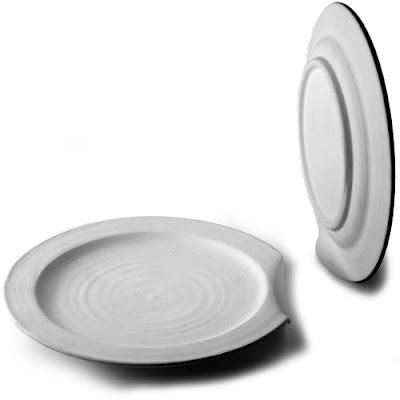 Self-Drying Dishware: This smart concept dishware set by Ernest Perera has a flattened edge that allows them to stand on their side and dry by themselves. 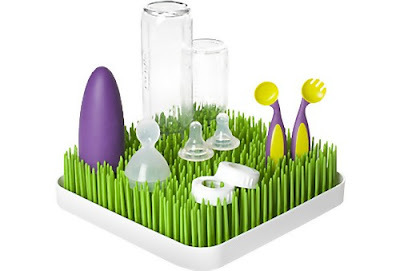 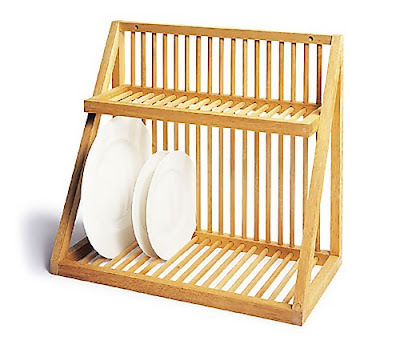 Smart Drying Racks: Made to hold all little products like bottles to pacifiers for babies. 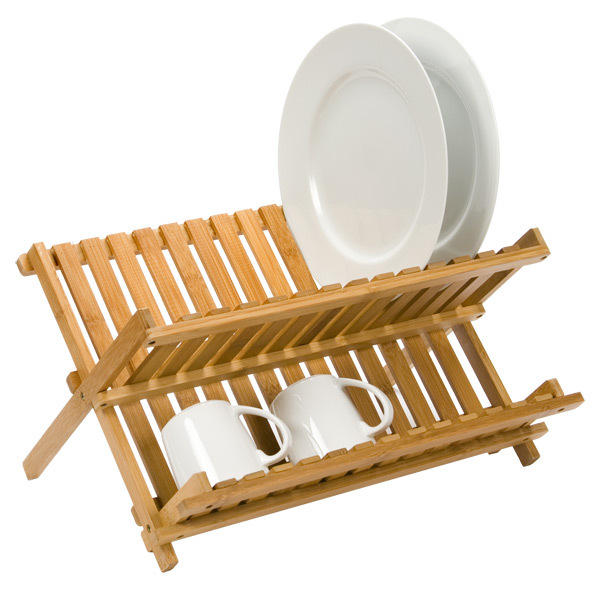 Bamboo Frame Dishrack: It's a beautiful combination of natural bamboo, steel and white laminate that makes it a modern kitchen statement. Bamboo Dish Drying Racks: These drying racks from Umbra are constructed from durable bamboo and accommodates up to 16 dishes, and has a flat surface suitable for drying glassware and other small items as well. 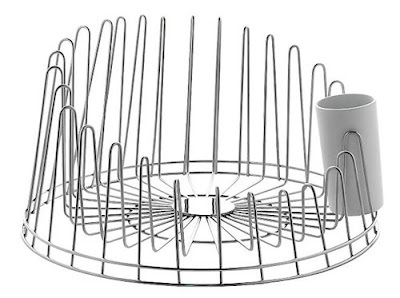 A Tempo Dishrack: Designed by P Deltour for Alessi; it features a stainless steel dish holder perfect for storing plates, bowls and utensils while they air dry. 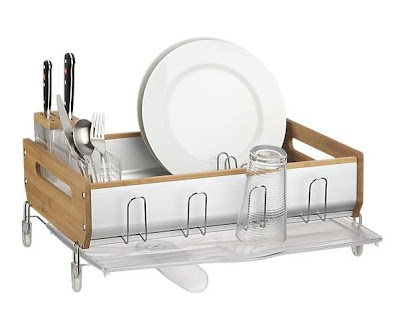 Polder Dish Racks: Its narrow enough and perfect for smaller sinks yet roomy enough to accommodate up to 14 plates, saucers, or other washed dishes. 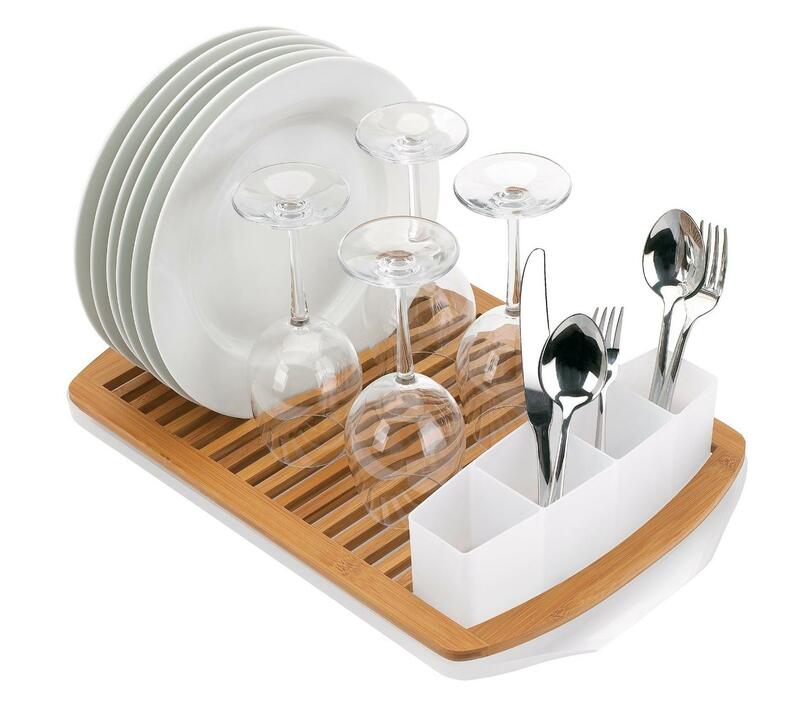 Folding Bamboo Dishrack: This folding bamboo dishrack adds style and functionality to your kitchen countertop; it can hold plates, cups and glasses and allows air circulation for items to dry. Wood Wall Fixable Dishrack: This 2 tier wall fixable dishrack is made from birchwood. 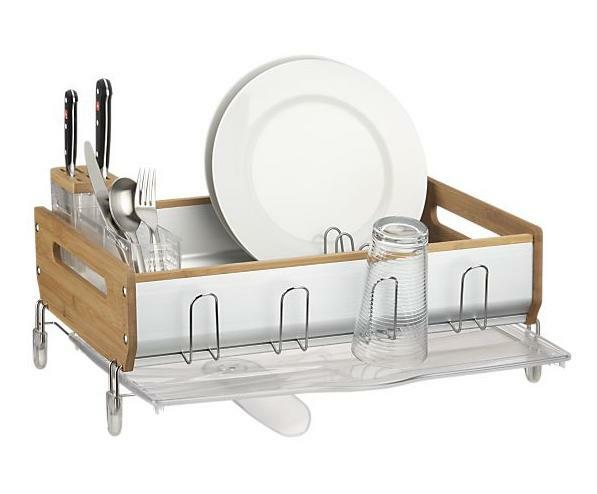 Dishrack by Kevin: It's designed for suspension over sinks making it perfect for small spaces. 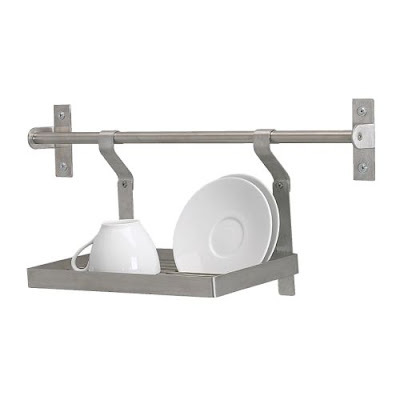 Grundtal Wall Racks: This stainless steel racks are best suited for space on the countertop. 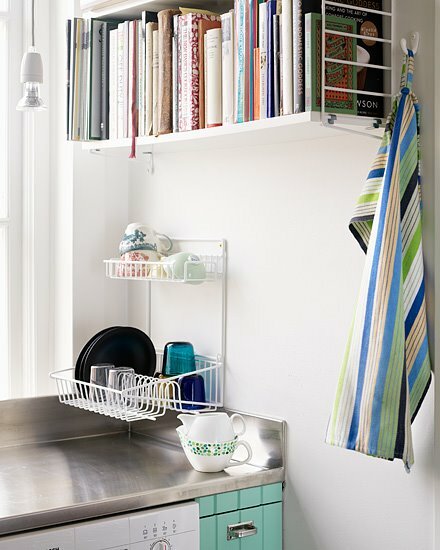 Dish Drying Closet: This concealed dishrack closet needs to be fixed over steel countertops or sinks. 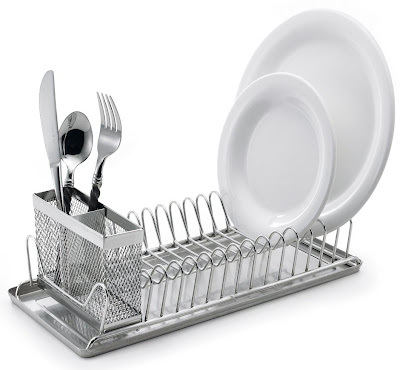 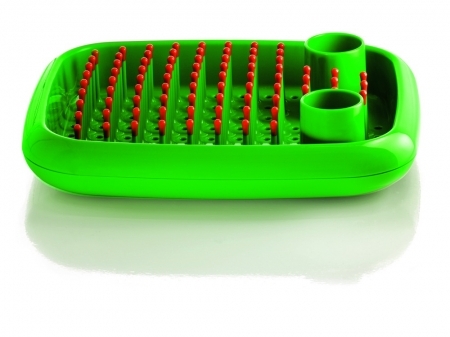 Don't miss to check out "Modern Dish Drainers and Cool Dish Racks - Part: 1| 2."